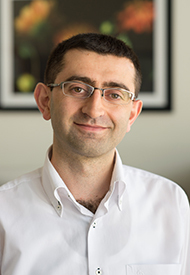 Professor Gedik's research centers on investigating quantum materials by using advanced optical and electron based spectroscopies. Quantum materials are systems in which strong correlations lead to fascinating emergent phenomena such as high temperature superconductivity or colossal magnetoresistance. Despite intense research for decades, uncovering the physics of these materials with conventional techniques has been very difficult. This is mainly because of the fact that different degrees of freedoms (i.e. charge, spin and lattice) are strongly coupled in these systems and interplay between them is responsible for many of their exciting properties. Gedik group develops novel time-resolved techniques to selectively probe dynamics of charge, spin and lattice excitations with unprecedented time, momentum and energy resolutions. Material systems of interest include topological insulators, high temperature superconductors and atomically layered materials. Professor Gedik joined MIT Physics Department as an assistant professor in January 2008. He received his B.S. in Physics in 1998 from Bogazici University, Istanbul, Turkey and his Ph.D in Physics in 2004 from University of California, Berkeley. After his Ph.D, he moved to Caltech where he worked as a postdoctoral scholar till January 2008. His awards include National Science Foundation CAREER Award, Department of Energy Early Career Award, Sloan fellowship, DARPA Young Faculty Award and Moore Experimental Investigator award. He was promoted to Full Professor of Physics in 2018.